One of my favorite recurring characters that I tend to mention is “The Caller,” which is a great sobriquet that a fellow Blogger “The Winegetter” dubbed him. While I was doing some mundane work at the house, I received a series of text messages letting me know that I was missing a fine night of wining and dining. I always have to smile that he wishes to let me know if he has found some wines of interest. When I asked him where he was dining he let me know that he was in Grand Rapids at the Ruth Chris restaurant that is the Amway Grand Hotel. Not only was he letting me know that I was missing some wonderful wines, he was also having a great steak, he is really such a nice guy. I knew that the steak dinners would be excellent, and he did not have to expound on that aspect of the night. 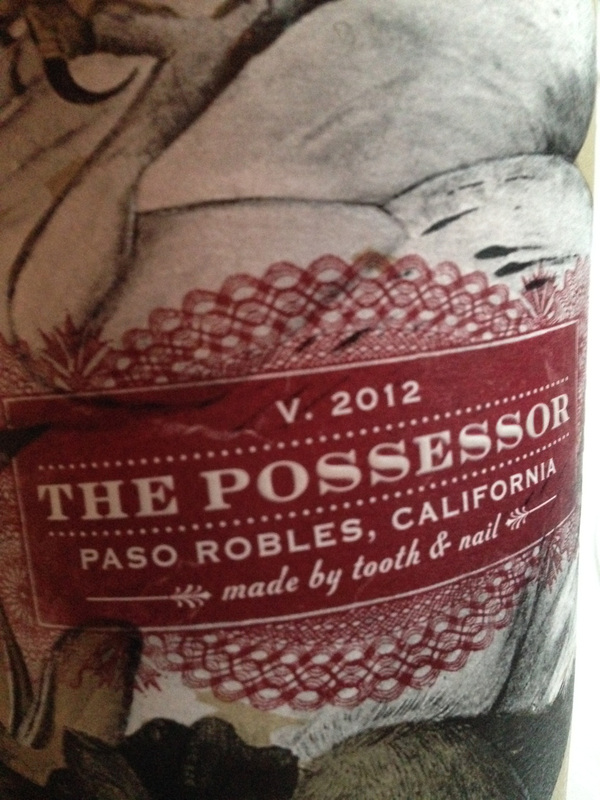 The first wine that he texted me a photo of was a bottle from Tooth & Nail Winery, The Possessor 2012 from Paso Robles, which is becoming one of my favorite areas for wine. This wine is a blend of Cabernet Sauvignon, Syrah, Petite Sirah, and Malbec and has been aged for sixteen months in oak (both old and new). He was very happy with this first wine. A little while later, I received another photo and texts letting me know that they were enjoying a second bottle of wine, and it is a good thing that he and his wife were spending the night at the hotel. 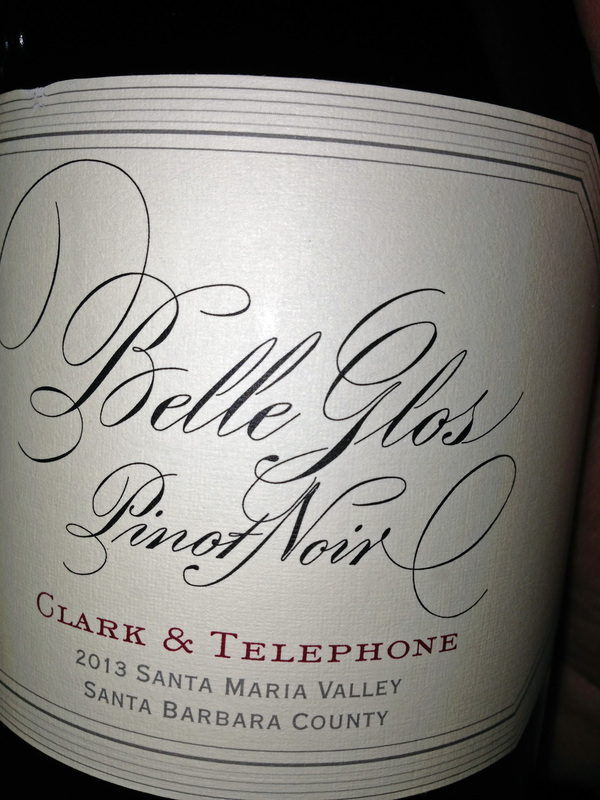 The second bottle of wine was Belle Glos Pinot Noir 2013 and from the Clark & Telegraph Vineyard in the Santa Maria Valley in Santa Barbara County. Joseph Wagner named this collection after his Grandmother Lorna Belle Glos Wagner, one of the cofounders of Caymus Vineyards. Now I have had wines from Caymus Vineyards and I have written about Belle Glos, but this is a much better wine than I have had from them, so far. Of course there is always time and I must thank “The Caller” to give me a heads up for a couple of new wines. This entry was posted in Dining, Wine and tagged Belle Glos, Cabernet Sauvignon, California, Clark & Telegraph Vineyard, Malbec, Paso Robles, Petite Sirah, Pinot Noir, Santa Barbara County, Santa Maria Valley, Syrah, The Possessor, Tooth & Nail Winery. Bookmark the permalink.